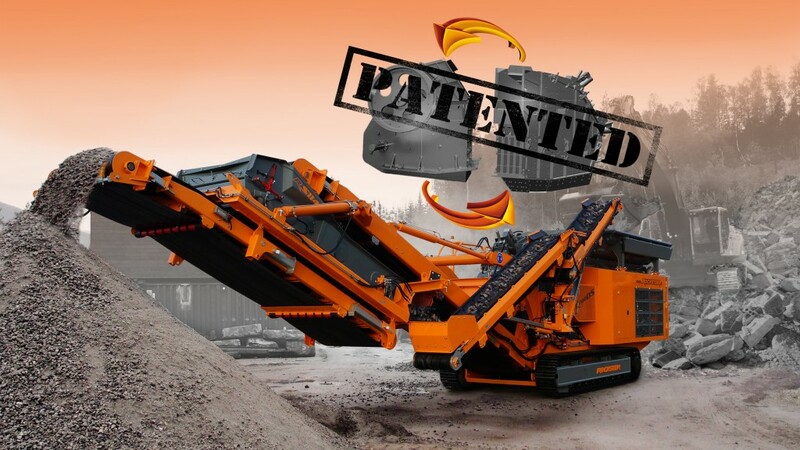 Rockster's most powerful mobile impact crusher - R1100DS with Duplex System and Double-functional Return / Stockpile Belt. Wolfgang Kormann, CEO of ROCKSTER emphasizes: "When choosing our drive concept, we consider the performance-optimized consumption, which can be distinguished from conventional drive types (time consumption). Our experience has shown over the years that with our variable drive system, the consumption optimization can be up to 13%. This is another step how the use of the latest technology contributes towards the future with reduced emissions. We have chosen CAT Stage V engine in order to reduce fuel consumption, as well as optimize after-treatment of the exhaust gases." ROCKSTER customers can query anytime, from anywhere via smartphone, tablet or notebook the relevant or selected information about their machine. The MMS also offers the possibility of remote maintenance, which minimizes any possible downtime. Another new development, presented for the first time at the BAUMA is a "Machine Monitoring System (MMS)", which will be available for all mobile crushers as of 2019. ROCKSTER customers can query anytime, from anywhere via smartphone, tablet or notebook the relevant or selected information about their machine. The MMS also offers the possibility of remote maintenance, which minimizes any possible downtime. It is controlled by a multifunction color display with scratch resistant touch user interface. Displayed in the second exhibit is the mobile 2-deck scalping screen RSS410 (booth no. 12B/6). It offers the longest screenbox in the compact screening segment and can be used either as an individual machine or to produce 3 final grain sizes. It can be utilized as a pre-screen before the crusher for the production of 2 additional defined grains, or as a final screening unit after the crusher to separate the crushed product into 3 final grains. In addition to the efficient separation of natural stone and building materials, the RSS410 can be used for the separation of coal, metal and topsoil as well. Beside various scalping screens, ROCKSTER also has in its product line tracked mobile 2 or 3-deck finishing screens and track-mounted or wheeled trommel screens. Engines from Stage IIIa to Stage V are available for these machines. ROCKSTER RSS410 2-deck scalping screen at the separation of topsoil. To complement the impact crusher and the scalping screen, ROCKSTER is also exhibiting the track-mounted stacker RST18 with a belt length of 18.2 m at the BAUMA (Booth 12B/2). It is available in four different lengths, from 15 to even 30 meters, and can be obtained with Stage IIIa to Stage V engines. The use of the stacker makes it possible to increase daily production capacity while at the same time reduce material handling costs. As a result, the return of investment may be achieved within 6 months. In addition, ROCKSTER visitors will have the opportunity to view the mobile impact crusher R1000S from a very unusual perspective. Stop by our booth and find out for yourself! Visit ROCKSTER in Hall B2, Booth 214 and at the outdoor area in front of Hall B2 / Gate 7, Booth 12B/2 and 12B/6. The impact crusher R900 with Duplex System together with the stacker RST18 at the processing of concrete.